With the winter school holidays almost here, many families are packing their bags to explore Africa. But far-flung destinations and intermittent cellphone reception can add up to worried loved ones back home. Thanks to a clever and easy-to-use tracking device, you can let your friends and family know exactly where you are, without any hassles. You don’t even have to worry about cellphone reception letting you down when you least expect it. Tracks4Africa has teamed up with tracking company AfricanStuff to transform your Africa trip into a live-feed experience for curious or concerned folks back home. And you don’t have to be a tech genius to install or use the device – it’s all super simple! 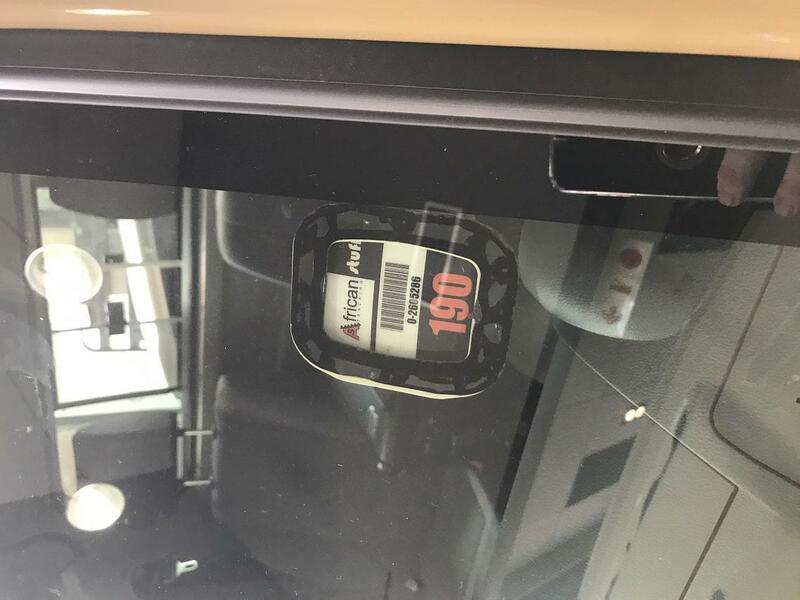 “We give you a satellite tracking device to carry with you or stick to your vehicle’s windscreen. The device is powered by AA batteries that will last up to six weeks. Every 10 minutes the device will send your position as a GPS coordinate to our servers via a satellite connection. This means that it will work even where no mobile reception is available,” explains Johann Groenewald, T4A co-founder. As a traveller, you are issued with a link to a website that maps your trip and clearly indicates your last known location. All you have to do, is share the link with family and friends, and Bob’s your uncle. 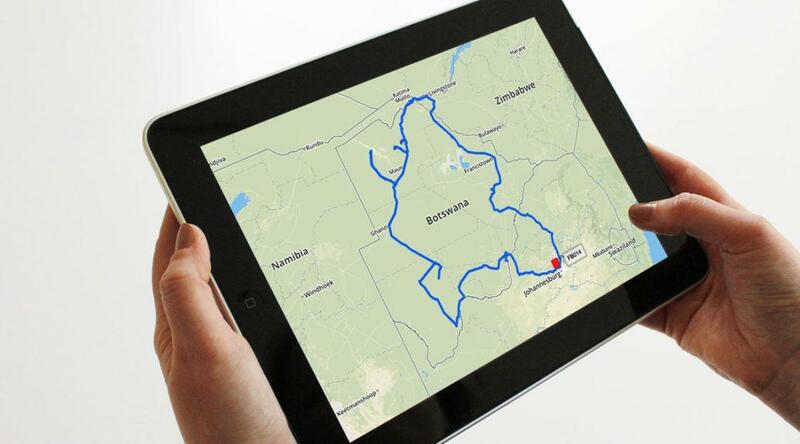 “AfricanStuff provides the service and T4A integrates with their servers so your data can come straight to T4A and we can then display it on a web map,” says Johann. Although T4A does not offer any recovery or monitoring services, the company provides you with the tools to do it yourself. “Leave your itinerary with someone at home and ask them to check your progress against this. If you are going through an area that you know is very remote and where no mobile reception will be available, alert them and give them a back-up plan. They will be able to see if you are not making progress and if you are not out of this remote area by the time you said you would be, something can be done as your location is known,” says Johann. For social media users, you can even embed the provided URL on your personal Facebook page with the help of an iFrame app like Woobox. For R500 per month (or part thereof), you can spend more time enjoying the African wilderness and less on reassuring those back home of your wellbeing. 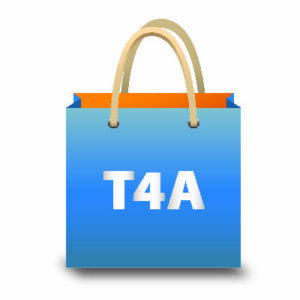 T4A even provides you with a set of AA batteries at R150 per set that will do the job for at least four weeks. The device rental calls for a R2,000 deposit, which you will get back upon returning it. Could it be any easier, T4A travellers? No-worries innovation for peace of mind as you set off on your adventure. Don’t be caught without it this holiday season. For more information or to ORDER a device, send an email to sarel@africanstuff.co.za. GPS satellite tracking is made possible through a network of high tech devices including satellites, receivers, transmitters, cellular networks, computers and people to track time and location information. Many vehicle GPS satellite tracking systems are capable of also tapping into on board computer systems to allow the user access to vehicle information and even provide some remote controls over the vehicle. Absolute brilliance – great idea and love the concept. I am forever on Tour all over the Southern continent — But the R500 pm is bit pricey for me. Hi Tony, this is a short term rental with uncapped Satillite data transmission at short intervals, pop me a mail offline to discuss long term options with bigger interval settings. Is it possible to send an emergency call via that device? Hi Andre, our devices use the Globalstar simplex network and looking at the coverage map it is on the fringe of coverage, my guess is you will get 80% of messages sent by the device. AfricanStuff are a great company and the product fantastic !